Michael White is definitely a pasta extraordinaire. Of course there are definitely other pasta geniuses out there, like the ones at Da Romano in Venice. But White is a formidable force in his own right, what with the likes of Convivio (now closed), Osteria Morini, Ai Fiori and Marea in New York. Marea is the seafood themed pasta restaurant in nondescript ground floor outfit of an apartment building in Columbus Circle. 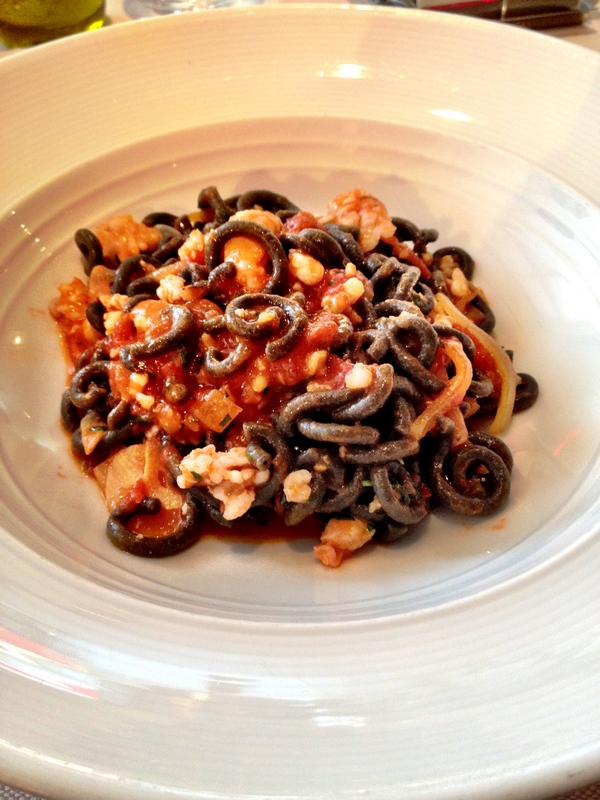 My favorite dishes: The bone marrow and octopus fusilli (which I don’t have a picture of). The squid ink and shrimp gramigna. 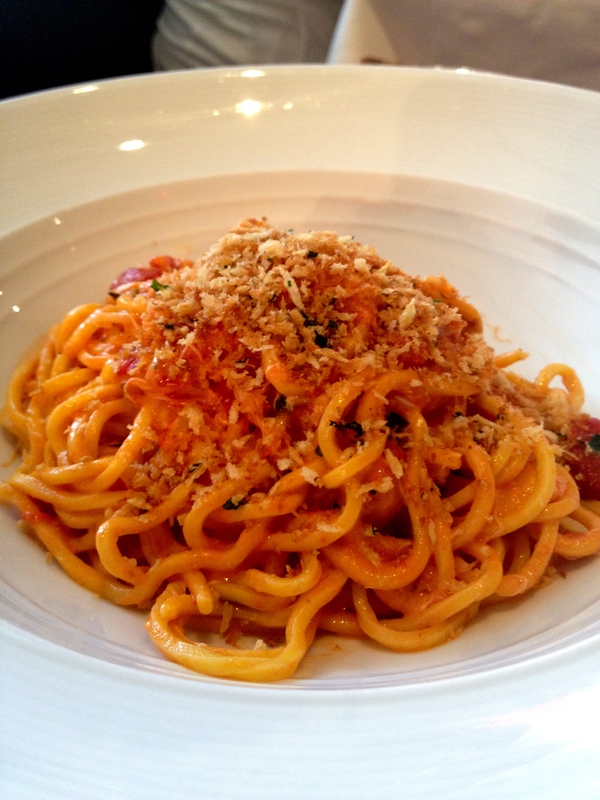 But of course, if you’re a fan of uni, The crab and uni spaghetti. Michael White never disappoints with his pasta.